Earn 2.5% cash back on every purchase when you have a free USAA Bank checking account with a qualifying direct deposit of at least $1,000 every month. 1.5% cash back on credit card purchases without a direct deposit. No annual fee. No penalty APR. No foreign transaction fees. Special Benefits for Military: Deployment/PCS rate: Get 4% APR on all balances for up to 12 months during deployment or PCS. After 12 months, the regular APR of between 14.65% and 20.65% will apply. This rate will vary with the market based on the prime rate. Special 4% SCRA rate: When you have a balance on your account at the time you enter active military duty, get 4% APR on that existing balance until one year after you complete active duty. Not only does the USAA help military members and their families with things like auto insurance, home and renters insurance, mutual funds and financial planning, and shopping and travel discounts, USAA members can also enjoy competitive card rates with the Limitless™ Cashback Rewards Visa Signature® Credit CardLimitless™ Cashback Rewards Visa Signature® Credit Card. With low APRs and sky-high rewards, this cash-back rewards card is great for USAA members looking to put (or keep!) more money in their pockets. Earn up to 2.5 percent cash back on everyday purchases with no limit on the amount you can earn. Special 4 percent deployment, PCS, and SCRA APRs. Auto rental collision damage waiver insurance. Extended manufacturer and store brand warranties. 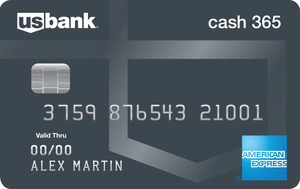 This card offers a top-of-the-line 2.5 percent cash back on all your purchases with no caps or spending categories to keep up with. Enjoy low APRs during times of transition, such as during deployment or PCS. There is no annual fee or foreign trasnaction fees to eat into your rewards. You have to qualify for USAA membership in order to be eligible for this card. If you aren't – or if you don't think you'll make the required monthly direct deposit to snag that 2.5 percent – you might consider a card like the Citi® Double Cash Card - 18 month BT offer, which offers the chance to earn 1 percent back when you buy and another 1 percent when you pay your bill. The cash-back reward opportunities on this card are stellar. If you make a qualifying direct deposit into a USAA checking account monthly (a qualifying deposit is at least $1,000 in a single transaction initiated through your employer, government entity or external financial institution), you'll earn 2.5 percent back on all your purchases, with no limit on what you can earn. That amount is well above what other flat-rate cards typically offer. Even if you have a month when you don't qualify for the 2.5 percent rate, you'll still earn 1.5 percent back, which is right in line with what other flat-rate cash-back cards offer. And while cash back rewards are always a nice bonus, the low APR rates are an additional attractive feature of this card. Based on your creditworthiness, with the Limitless™ Cashback Rewards Visa Signature® Credit CardLimitless™ Cashback Rewards Visa Signature® Credit Card you could enjoy regular APR rates well below the industry average and deployment rates as low as 4 percent. The Limitless™ Cashback Rewards Visa Signature® Credit CardLimitless™ Cashback Rewards Visa Signature® Credit Card features a special deployment and PCS rate of 4 percent on all balances for up to 12 months during deployment or PCS, as well as a special 4 percent SCRA rate when you have a balance on your account at the time you enter active military duty until one year after you complete active duty. Plus, thanks to the military campaign benefit, users will receive a rebate for all finance charges that accrue while serving in a qualified military campaign. As for the rewards, well the structure is simple: Earn a flat 2.5 percent cash back on all your purchases everyday as long as you complete a direct deposit of at least $1,000 each month into a qualifying USAA checking account. With an earn rate that high, you're probably wondering how you go about redeeming all that cash back. It's pretty simple, actually: Your cash-back rewards can be redeemed in $1 increments with no minimum on the amount you need to redeem. That cash back can go directly toward your credit card balance (essentially a statement credit) or you can redeem directly into a USAA checking or savings account. The Limitless™ Cashback Rewards Visa Signature® Credit CardLimitless™ Cashback Rewards Visa Signature® Credit Card has a solid cash-back opportunity at 2.5 percent, but the catch is that you have to maintain that minimum $1,000 monthly direct deposit into a qualifying USAA account in order to take advantage of that rate. If you miss a month with the direct deposit -- say you change jobs and it takes a couple of pay periods to set up your direct deposit with your new employer -- you'll revert to the 1.5 percent cash-back rate. That isn't bad, but it is typical. You can snag that rate with any number of other flat-rate cash-back credit cards. In other words, make sure you have a direct deposit set up in order to cash in fully. The other drawback here is that USAA does require membership to take advantage of its products. There are a variety of ways to qualify for membership, but it won't be available to everyone. Before you get too interested in the Limitless™ Cashback Rewards Visa Signature® Credit CardLimitless™ Cashback Rewards Visa Signature® Credit Card, make sure you'll qualify for USAA membership. Another USAA credit card, the no-annual-fee USAA® Cashback Rewards Plus American Express® Card provides cardholders with the same security, travel, and retail benefits, as well as the same military benefits as the Limitless™ Cash Rewards Visa Signature® Credit Card, but the way that users gain cash back rewards is set up a little differently. Instead of gaining up to 2.5 percent cash back on all purchases like with the Limitless™ Cash Rewards Visa Signature® Credit Card, the USAA® Cashback Rewards Plus American Express® Card allows users to earn rewards in tiers of 1 percent, 2 percent or 5 percent cash back based on the category of purchase. You earn 5 percent back on qualifying gas and military base purchases for the first $3,000 spent with the card each year, for a maximum annual reward of $150. After that spending cap, you earn 1 percent back on those purchases. Earn 2 percent back on qualifying supermarket purchases for the first $3,000 spent with the card each year, for a maximum annual reward of $60. Again, once you hit the spending cap, the earn rate drops to 1 percent. Beyond that, you earn 1 percent cash back on all purchases with no limit to the amount of rewards that can be earned. Depending on how you plan to use your card, this card may allow users higher cash back opportunities, especially if you don't plan to take advantage of the opportunity to earn the full 2.5 percent with the Limitless™ Cash Rewards Visa Signature® Credit Card. If it's low APR rates and high cash back rewards that you're after and you don't mind stepping away from USAA, then Chase Freedom Unlimited® is an option worth considering. With the no annual fee, Chase Freedom Unlimited® cardholders will have access to a 0 percent intro APR for the first 15 months on purchases and balance transfers (then, 17.24% - 25.99% Variable). 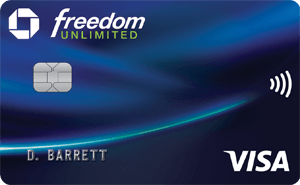 As far as gaining rewards goes, Chase Freedom Unlimited® makes it simple: New cardholders earn 3% cash back on up to $20,000 spent during the first year as a cardholder and then an unlimited 1.5 percent cash back on all purchases going forward with no limits. No tiers, no category restrictions, no complicated calculations. Just 1.5 percent cash back (or 3% during on that first $20,000 spent in your first year) on all purchases made. (Meaning it's at least the same earn rate as with the Limitless™ Cash Rewards Visa Signature® Credit Card if you don't bump it up with the monthly direct deposit). One potential downside though is that Chase Freedom Unlimited® charges a 3 percent foreign transaction fee for each purchase made outside the U.S., meaning it may not be the best option for frequent international travelers. Furthermore, if you are eligible for the USAA card AND will make a qualifying monthly direct deposit, you stand to earn a more with that card. When comparing these two cards, you must ask yourself, is it a higher rewards rate that you're looking for, or are you more interested in 0 percent APR? Like the Chase Freedom Unlimited® card, the no annual fee Wells Fargo Cash Wise Visa® Card card also comes with a 0% intro APR period for purchase and balance transfers, though this intro period lasts just 12 months instead of 15. Also like the Chase card, this Wells Fargo card earns users unlimited 1.5 percent back on all purchases (or 1.8 percent for the first year when making purchases with a qualified mobile wallet). This still isn't as attractive as the Limitless™ Cashback Rewards Visa Signature® Credit Card's 2.5 percent offer, however, there's no direct deposit or any other sort of spending stipulation, and it's available to everyone--not just USAA members. New Wells Fargo Cash Wise Visa® Card cardholders are eligible for a $200 cash bonus once spending $1,000 with the card within three months of opening an account, and are also entitled to up to $1,000 a year in cell phone protection; perks you won't find with the Limitless™ Cashback Rewards Visa Signature® Credit Card. The Limitless™ Cashback Rewards Visa Signature® Credit CardLimitless™ Cashback Rewards Visa Signature® Credit Card is ideal for military families thanks to the special 4 percent deployment, PCS, and SCRA rates and military campaign benefits. But active and non-active military families alike will appreciate the top-of-the-line opportunity to earn cash back. That flat 2.5 percent (with the direct deposit, of course) is almost unheard of.